Stocking is approximately 8 inches across the top and 17 inches at its longest. 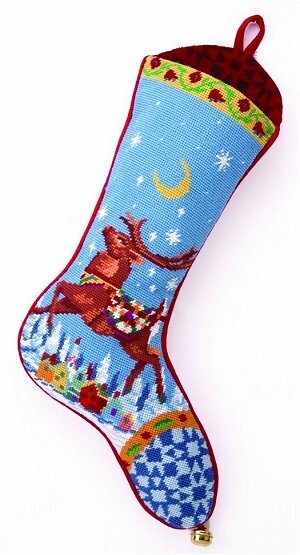 Jim Shore Reindeer CHristmas Stocking in fine needlepoint. Stocking is approximately 8 inches across the top and 17 inches at its longest.